Chicagoland homeowners can receive up to $120 in rebates to purchase a smart home thermostat. In Chicago and other parts of northern Illinois, a public-private initiative aims to encourage more homeowners to purchase smart home devices by offering up to $120 in rebates, which would cut the cost of purchasing such a device ($249) nearly in half. It’s estimated that a typical single-family home spends nearly $2,200 a year on their energy bills, with heating accounting for 29 percent of these costs. Homeowners aiming to reduce these costs can opt to purchase a smart thermostat, a WiFi-enabled device that allows owners to control heating and air conditioning settings via smartphones, tablets, and computers. 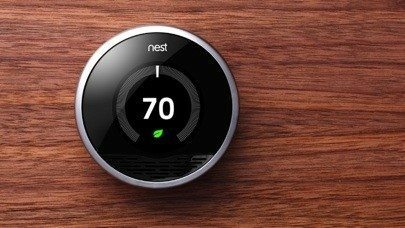 Under new initiative, Northern Illinois homeowners can purchase smart thermostats at half the retail cost. The public-private partnership involves smart thermostat manufacturers ecobee and Nest Labs, along with northern Illinois utility providers ComEd, Nicor Gas, Peoples Gas and North Shore Gas. The Environmental Law & Policy Center and Citizens Utility Board, U.S. Environmental Protection Agency Administrator and Illinois Commerce Commission are also involved. Under the initiative, purchasers of ecobee3 and the Nest Learning thermostats are eligible for up to $120 in rebates ($100 per thermostat and an additional $20 from gas utilities) so long as they have Wi-Fi, central air and a furnace. Over time, additional thermostat manufacturers should be added to the rebate initiative. Homeowners can receive the rebate via DIY installation or by purchasing a thermostat through a heating/cooling contractor or utility energy advisor during a home energy assessment. Installation of smart home devices, like a thermostat, should be a focal point for homeowners considering a potential sale down the road. According to a recent survey of 4,000 adults by Coldwell Banker Real Estate and CNET, 81 percent of respondents said they would be more likely to buy a home if smart technology were already installed.